The need for accessible healthcare will always be a focal point of all societies. Although the advancements in medical technology has reached great strides in trying to find the cures of the major diseases that plague our world, many people because of financial difficulty, limited access to information and other unknown reasons are not even getting the attention for their basic medical ailments. One of the main human rights that all people should receive is the right to receive affordable medical attention in a time of need. 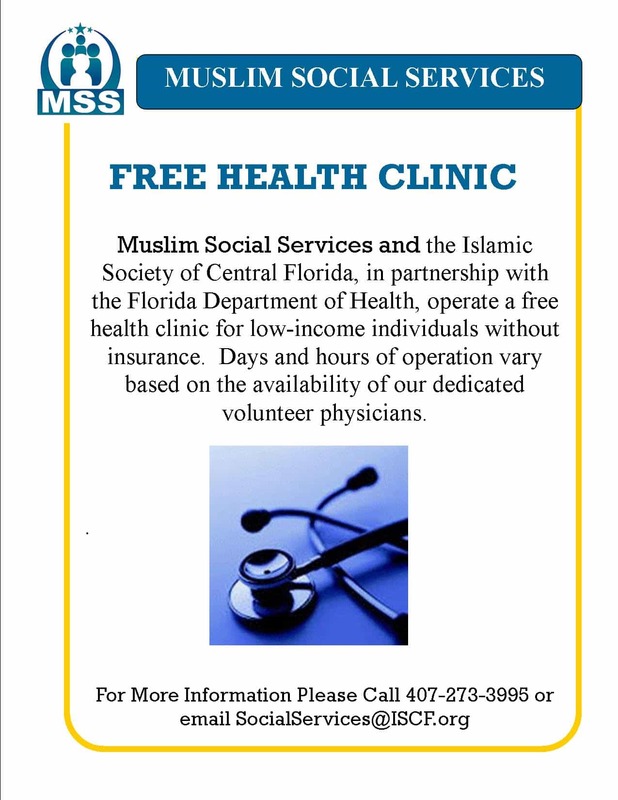 With this concept in mind, the Islamic Society of Central Florida in partnership with the Florida Department of Health has partnered to initiate the first Muslim free Clinic staffed and operated by Muslims in Orlando. For those doctors and physicians who are not able to contribute their time at the clinic, the Referral Medical Program is a way to assist while at your own clinic by offering discounts or pro bono services to patients that the Muslim Healing Clinic refers. In a state of an emergency related to a natural or man made disaster, doctors and medical specialists are encouraged to get involved with their expertise to help those in need.